Thank you for supporting us. 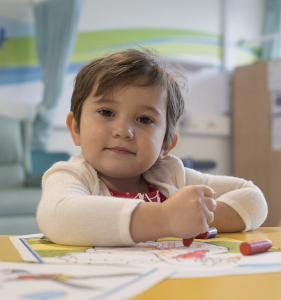 Your donation is helping to create a brighter future for children with brain tumours. Each year, hundreds of children and their families are faced with the terrifying diagnosis of a brain tumour but thanks to your support our researchers can work tirelessly to improve diagnosis, treatment and awareness, giving hope to thousands of children around the world, as well as here in Nottingham. You can use the form below to make a single gift or set up a regular amount of your choice. If you are a UK taxpayer, Gift Aid could increase the value of your gift by 25% at no extra cost to you. If you are donating from outside the UK, please enter an amount in GBP sterling and your credit / debit card will be charged the equivalent amount in your local currency. We use a secure server for our donations. Any questions - please call us on +44 (0) 115 95 13627. Thank you. Gift Aid: I would like The University of Nottingham to treat this donation, all donations made in the last four years and all future donations from the date of this declaration, as Gift Aid Donations until I notify you otherwise. I confirm that I am a UK taxpayer and understand that if I pay less income Tax and/or Capital Gains Tax than the amount of Gift Aid Claimed on all my donations in that tax year (6 April to 5 April) it is my responsibility to pay any difference. I understand the charity will reclaim 25p of tax on every £1 that I donate. What is Gift Aid? Please select credit card for one-off gifts, and direct debit for recurring gifts. All information is held securely on the University’s central database and will be treated confidentially and with respect in accordance with the Data Protection Act 1998. Unless you tell us otherwise the data may be used for events programmes, alumni activities involving academic and administrative departments, fundraising programmes and for the promotion of benefits and services, which may involve an element of direct marketing. The data will not be disclosed to any external organisations, other than those acting as agents of the university. This may include organisations such as the Higher Education Statistics Agency (HESA).